The CMAT Program is developing a clearinghouse of training, consulting, and professional development resources for disadvantaged business enterprises (DBEs). 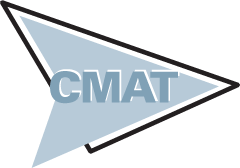 Organizations in this group can benefit from the professional-level services and information sources to which the CMAT program has access. Additional resources will be posted at this site as they become available. The Disadvantaged Business Enterprise (DBE) program is designed to remedy ongoing discrimination and the continuing effects of past discrimination in federally-assisted highway, transit, airport, and highway safety financial assistance transportation contracting markets nationwide. The primary remedial purpose of the DBE program is to level the playing field by providing small businesses owned and controlled by socially and economically disadvantaged individuals a fair opportunity to compete for federally funded transportation contracts. Since 1983, a statutory provision has required state Departments of Transportation (DOT) to ensure that at least 10% of the funds authorized for the highway and transit financial assistance programs be expended with DBEs. The Iowa DOT maintains a directory identifying all firms eligible to participate as DBEs in its program.